Phosphorus is recognized as toxic catalysts, MMT combustion to remove phosphorus and reduce the catalytic converter on the sediment, so the use of MMT fuel to extend the life of the catalyst, the catalyst to maintain a high conversion rate, so as to more effectively into the harmful gases, reduce pollutant emissions. 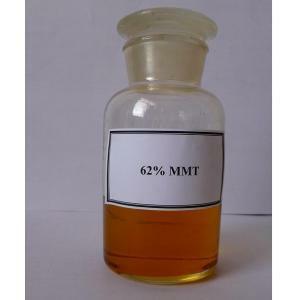 Through the rational use of MMT, MTBE, gasoline reforming, catalytic gasoline and straight-run out of petrol to the petroleum products of various specifications. Looking for ideal MMT Manufacturer & supplier ? We have a wide selection at great prices to help you get creative. All the MMT are quality guaranteed. We are China Origin Factory of MMT. If you have any question, please feel free to contact us.